Edison State’s Lacey Watson, shoots over the WCCD defense Saturday. Edison’s States Lauryn Gray shoots agains WCCD’s Caprice Brown Saturday. Edison State Lamine Komara gets off a shot as MCCD’s Corey Whitted looks on. 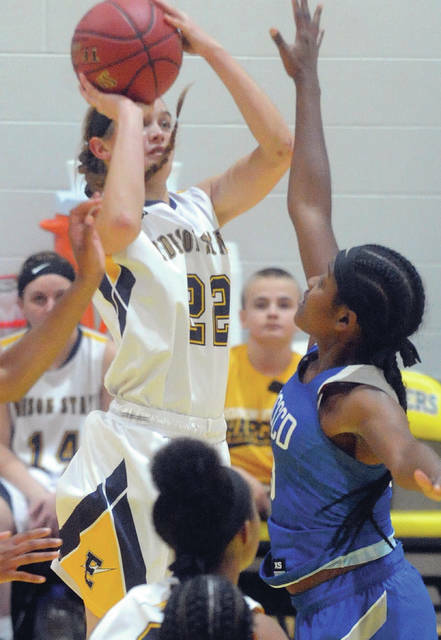 Edison State’s Clair Schmitmeyer shoots a 3-pointer Saturday. Edison State’s Caleb Maggard goes up for two points. 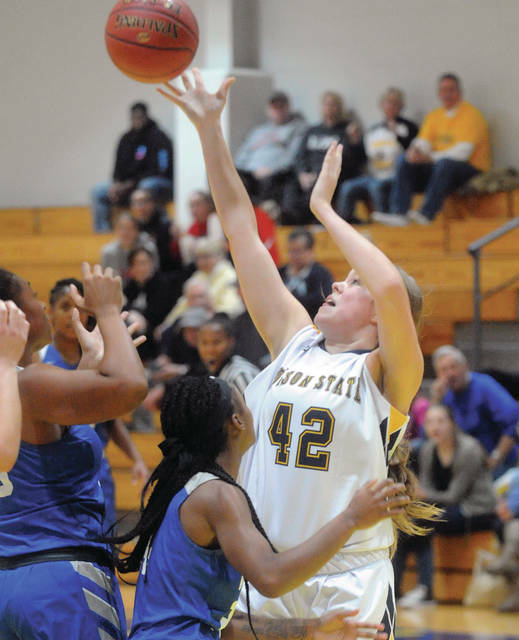 Edison State’s Sarah Pothast grabs a rebound Saturday. 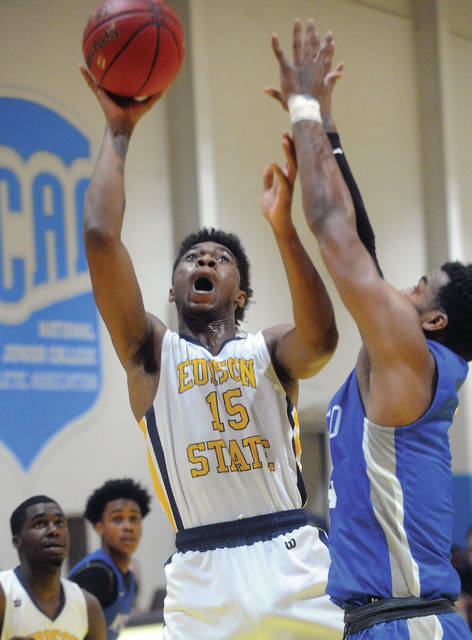 Edison State’s men and women’s basketball teams were tested by Wayne County Community College District Saturday before handling the visitors from Detroit, Michigan. Both Edison teams are now 5-1 and will play at Miami University Hamilton Saturday. 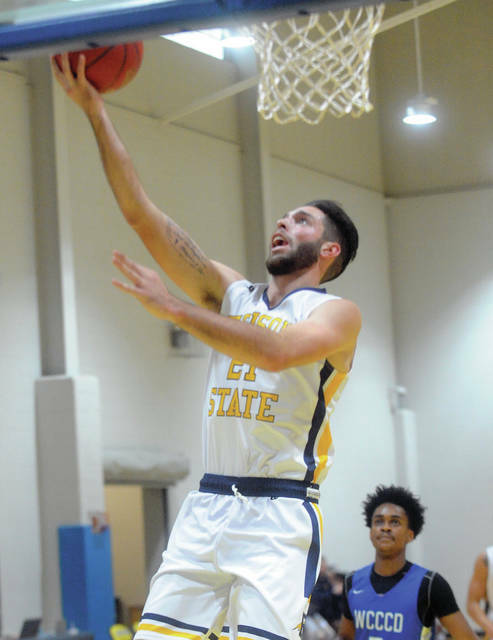 The Edison State men opened a lead late in the first half and maintained it in the second half for an 86-72 victory. The game was tied at 24 before Edison State finished the half on a 19-8 run to open a 43-32 advantage at the break. Baskets by Lacey Watson and Jaedyn Carter started the run. After WCCD’s Rashard Zimmerman hit a free throw, Carter hit a three. After a basket by WCCD’s Marcus Fleming, James Richardson Jr. buried a three off an inbounds pass from Carter. Keshaun Hayes hit two free throws and Eian Barker added one to get WCCD within 34-30, but Edison close the half with a 9-2 run and held on from there. Watson had two baskets, including a dunk, before Fleming countered with a basket for WCCD. Sean Jones scored with a minute to go in the half and Carter buried a three with six seconds to go before half to make it 43-32 at the break. Watson had another big game with 28 points, 11 rebounds, six assists, three steals and two blocks. Carter added 24 points, while Lance Komara had 16 points, six rebounds, five assists, three steals and two blocks. Caleb Maggard grabbed eight rebounds and Dakota Prichard had five assists. Zimmerman had 18 points for WCCD, while Zane Desouza had 10 points and seven rebounds. Barker pulled down five rebounds. Edison was 33 of 65 from the floor for 51 percent, including six of 16 from 3-point range for 38 percent. The Chargers made 14 of 26 free throws for 54 percent. WCCD was 22 of 58 from the floor for 38 percent, one of 11 from behind the arc for nine percent and 27 of 39 from the free throw line for 69 percent. Edison won the battle of the boards 42-39 and had 23 turnovers to WCCD’s 22. 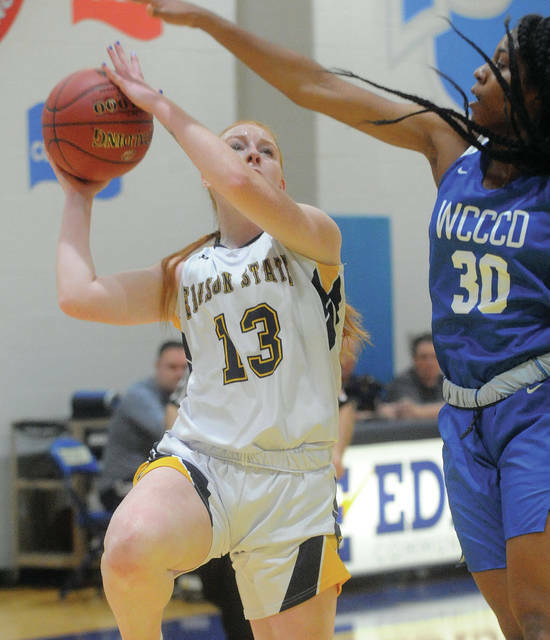 The Edison State women found themselves in a tie game late in the first half, before finishing the half with a 5-0 run and opening the second half with a and 11-4 run to take 42-30 lead. Sarah Bergman, who made four of seven attempts from long range in the game, broke the deadlock with a three and Lauryn Gray had a putback at the first half buzzer to make it 31-26. After Mikayla Cooper opened the second half scoring for WCCD, Edison got rolling. Kennedie Reese scored off a Gray assist and Kailani Broyles got a layup off a dish from Reese. Sarah Pothast scored to make it 37-28 and forced a WCCD timeout. After a WCCD basket by Trinity Benton, Edison ran off five quick points. Clair Schmitmeyer hit a free throw and Kailani Broyles and Reese both scored. After a three by Mikayla Cooper for WCCD, Kailani Broyles hit two free throws and Bergman drilled another three to make it 47-33 after three quarters. Gray hit two free throws to start the fourth quarter and give Edison a 16-point lead. WCCD ran off eight straight points, including five in a row by Donnetta Colbert, but that was close as WCCD would get. Reese had 16 points and eight rebounds for Edison, hitting six of nine shots from the floor. Pothast added 16 points, eight rebounds and three blocked shots, while Bergman had 14 points and three blocked shots. Kailani Broyles had 10 points, while Kaylesha Broyles had six rebounds and four assists. Schmitmeyer grabbed eight rebounds for the Chargers. 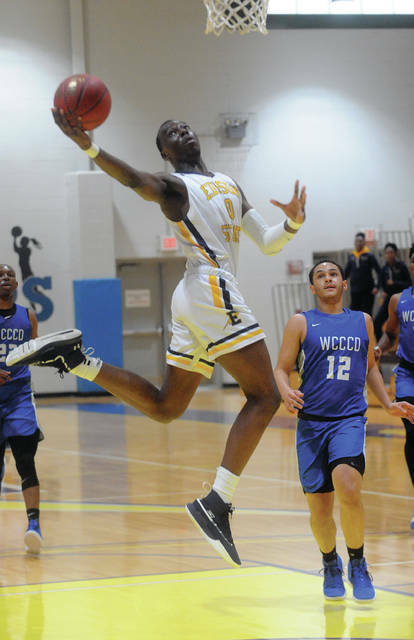 Colbert led WCCD with 27 points, eight rebounds and three assists. Cooper had 10 points, Caprice Brown grabbed 11 rebounds, Benton pulled down eight and Radaja Poston had six. Edison was 24 of 72 from the floor for 33 percent, including four of 18 from 3-point range for 22 percent. The Chargers were razor-sharp at the line, hitting 18 of 22 fro 82 percent. WCCD was 19 of 62 from the floor for 31 percent, four of 21 from long range for 19 percent and 11 of 16 from the line for 69 percent. Edison won the battle of the boards 52-43, but had 23 turnovers to WCCD’s 21.